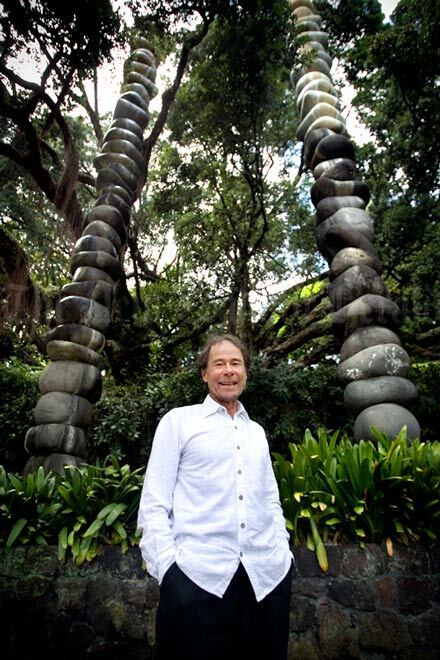 An ardent conservationist, Chris Booth often places his sculptures, assembled from boulders and stones, in the landscapes where the materials originated. His aim is to make sculpture that is in harmony with the land. The boulders are often stacked and shaped using steel cabling so they appear to defy gravity. An example is 'Gateway' (1990) at the entrance to Albert Park in Auckland.